I've been bouncing around with different base and top coats, and now I will be trying another line of products by AII - Poshe! I know a lot of you have seen or heard of it before, and some even swear by it. I'll be testing it out for about a month and let you know the results! 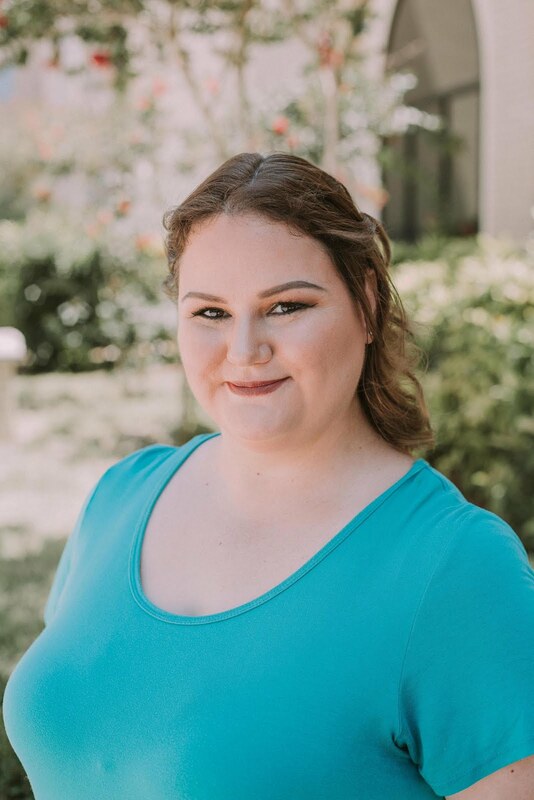 Please enjoy the following press release from AII! 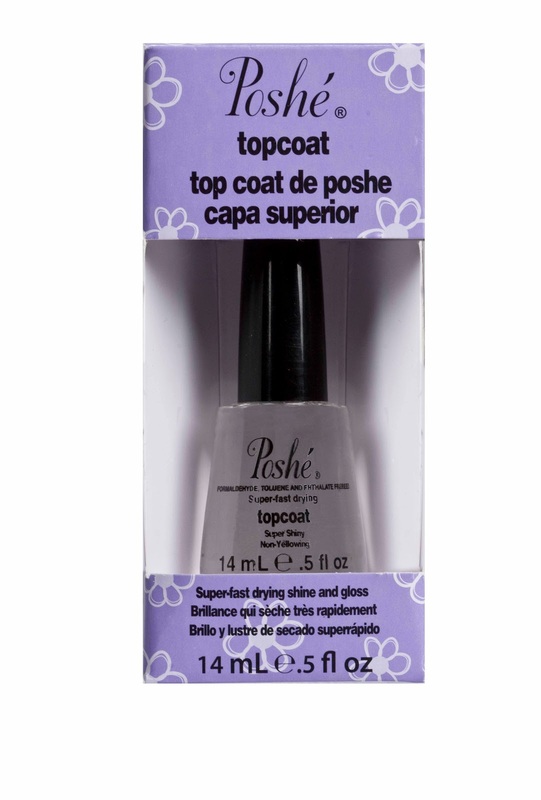 Los Angeles, CA – (February 2012): Formulated without Formaldehyde, Toluene and Phthalates, it’s no wonder that Poshé Top Coat is a five-time winner of Allure Magazine’s “Best Top Coat” award and three-time winner of Nails Magazine’s “Readers’ Choice Award”. Poshé Top Coat, along with the rest of the Poshé family of complete nail care products, is coveted by top-notch nail care professionals and nail fanatics alike. Poshé Topcoat: This revolutionary formula dries to the touch in one minute. Remarkable gloss and no shrinking make this top coat one of the best in the business. 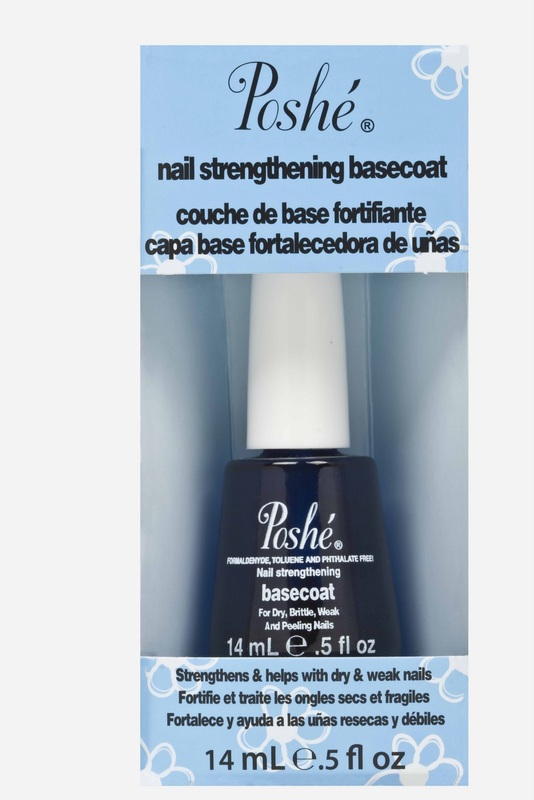 Poshé Nail Strengthening Basecoat: This basecoat promotes hardness and helps flexibility, while working as a ridge filler and conditioning nails at the same time. UV inhibitors protect nails from damaging sun rays. Poshé Fast Drying Base Coat: For natural or artificial nails, this fast drying, non-yellowing and chip resistant basecoat helps maintain the beauty of the manicure. 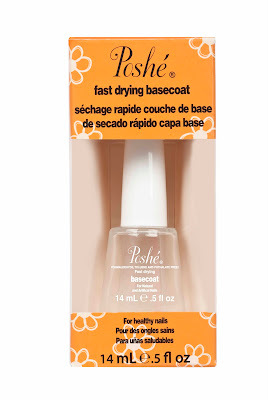 Great for pedicures as well, this basecoat also protects from staining. Poshé AHA Cuticle Care: A unique blend of Alpha Hydroxy Acids and botanicals are specially formulated to exfoliate and hydrate problem cuticles. It can also be used on elbows, feet and other dry areas. Great for preventing hangnails while promoting healthy nail growth. A logical approach to creating strong, flexible nails based on the science of the natural nail, Poshé uses elements found naturally within the nail plate to nourish and condition, without the use of dehydration techniques. The result is strong, long, natural nails that resist breakage. 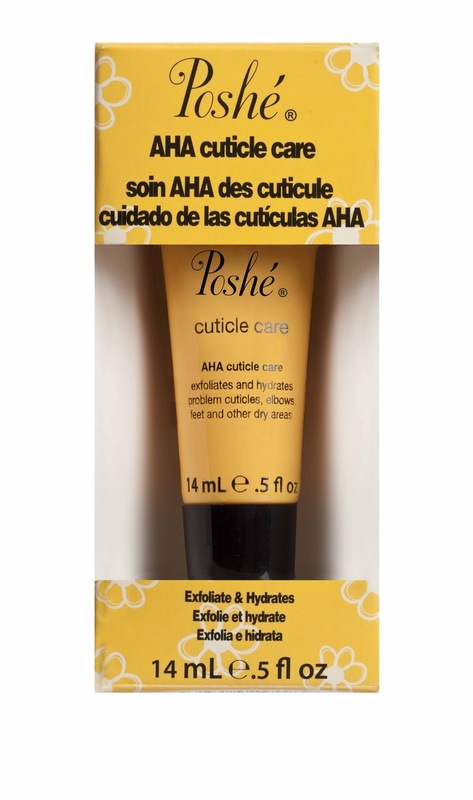 All Poshé nail care products are formaldehyde and toluene free. For me, Poshe ranks right up there with Seche Vite... on my hate list. They both cause mad shrinkage on me, no matter which polish I use them over. And they both have the problem of getting super thick halfway through the bottle. Hopefully you'll have better luck than I did! Gaaaa I hope that's not the experience for me! I keep a bottle of Seche Restore for my Seche Vite... I wonder if Poshe is the same for me as well. As for shrinkage - I finally had some shrinkage I think it was with a Color Club polish and Seche Vite. First time for everything! I just got a Poshe a couple weeks ago, hoping to avoid the dreaded Seche Vite shrinkage. So I guess we'll see how it goes. I'm glad you posted this tho, I didn't know they had other products too. It was really difficult for me to find the top coat while on vacation and I know no one in my hometown carries it. Blarg! To be honest, I didn't know they had other products either! I'm really excited about the cuticle stuff. I don't take care of mine at all and really need to get into the habit! I have used Poshe Topcoat and Basecoat. Haven't ever had shrinkage problems. The basecoat was okay but I never noticed it help the dry time, and since I switched from it I even find some polishes apply better. I think the Poshe was too slippery, if that makes sense. Of course every person's experience, chemistry, needs and preferences are different. Can't wait to see what you come up with after a month of use! Oooh awesome! I can't wait to try it out now... thank you for such a great review from your experience! Also I always giggle at sheet marks because EVERYONE knows what you're talking about. I giggle because I actually don't sleep with a sheet - just a comforter. Great review, Rochelle. :) and triple glad I read this post. While I was preggo I have to hold off on the SV (due to toulene) so Poshe became my go to fast dry TC. I'm love it, it's almost on par with SV. I really didn't wear any polish while pregnant, so I never did any research on toulene but thank you for letting me know! Can't wait to test it out!